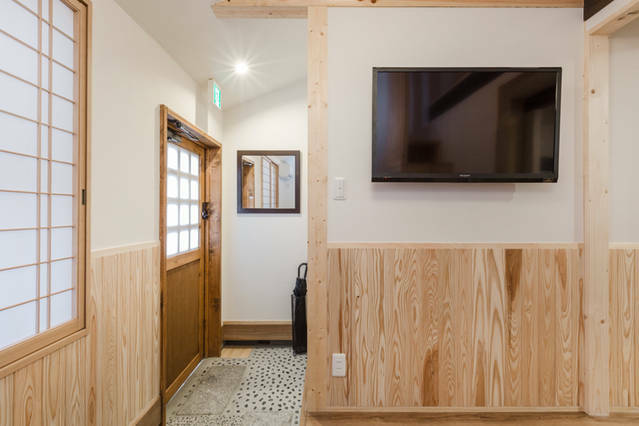 Blue Tengu is a charming traditional Japanese boutique townhouse which has been completely renovated. Modern facilities have been added to provide the highest level of guest comfort. 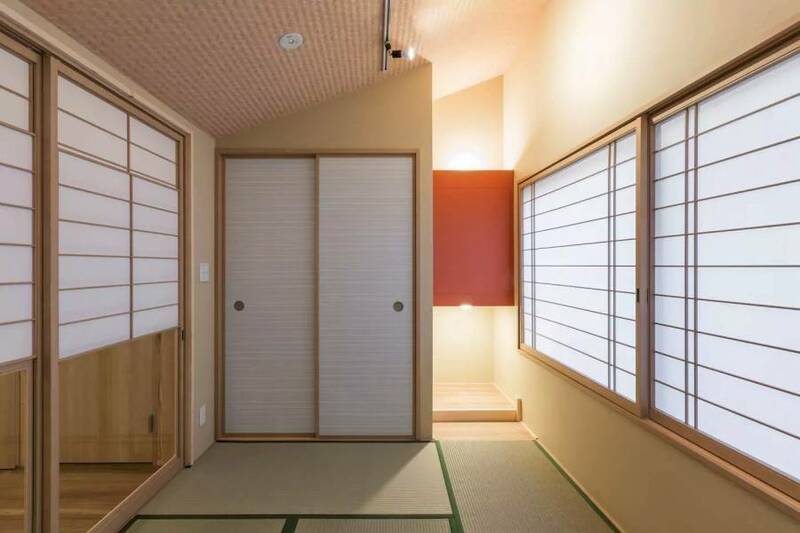 The house has been tastefully decorated with elements of both Japanese traditional and modern contemporary styles. Bedding is Japanese style (tatami mats and futons). There is a Western style sofa in the living area which is a great place to relax with coffee and a book while recovering from exploring. The house is 35 square meters in size. It should be comfortable for a up to 4 adults or for a family of 2 adults and 2 kids. The kids are sure to enjoy the loft. 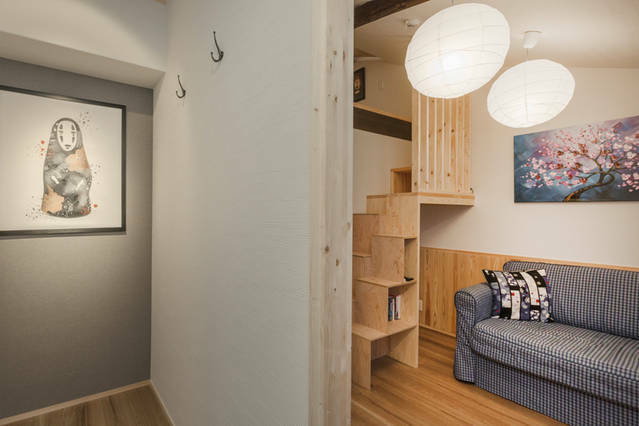 The townhouse is close to shops and cafes, with lively Kyoto station area just 10min walk. Hachijo street (south of Kyoto station) provides an interesting array of culinary offerings, traditional establishments and Japanese confectionary and tea shops in a charming ambiance that feels more like a village than a big city. There are two convenience stores (7-11 and Lawson) close by which are open 24hrs. We have renovated the house to both accentuate the traditional charm and add modern features to ensure guest comfort. I have tried to add a personal touch by adding art that I like and sewing Japanese traditional style cushion covers. 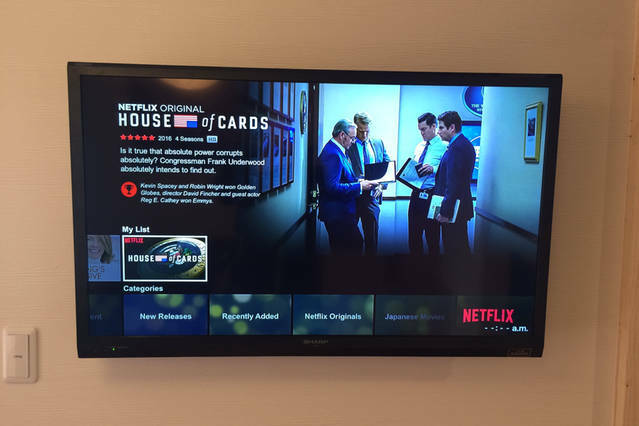 We have a brand new flat screen HD TV along with Amazon Fire TV and Netflix. A Pocket Wifi is included so you can still be connected to email, Google maps etc while exploring the city. The house is fitted with a range of modern conveniences to ensure you can relax and get the most out of your stay. The reverse-cycle air-conditioner both heats and cools to keep you comfortable no matter what the weather is like outside. The quiet and energy efficient washer-dryer removes the hassle usually associated with doing laundry while on vacation, maximising the time you can spend exploring this wonderful city. Our modern kitchen is small and mighty. It is small enough not to take up too much space but sufficient to cook meals if you prefer to eat in. There is a dining table with seating for 4 which can also be used for work or study if you prefer. 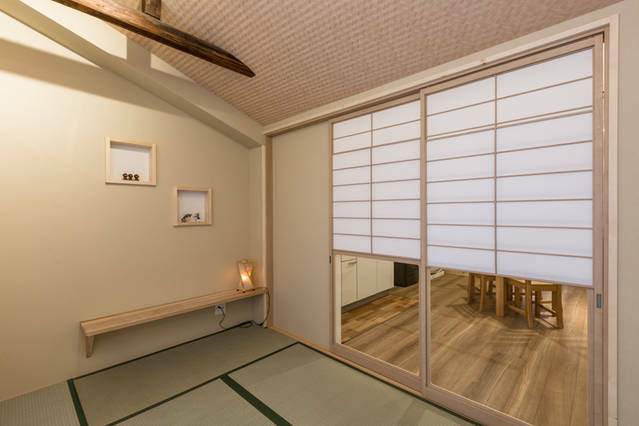 Blue Tengu is a charming traditional Japanese boutique townhouse which has been completely renovated. Modern facilities have been added to provide the highest level of guest comfort. The house has been tastefully decorated with elements of both Japanese traditional and modern contemporary styles. Bedding is Japanese style (tatami mats and futons). There is a Western style sofa in the living area which is a great place to relax with coffee and a book while recovering from exploring. The house is 40 square meters in size. It should be comfortable for a up to 4 adults or for a family of 2 adults and 2 kids. The kids are sure to enjoy the loft. The house is in a quiet residential neighbourhood tucked away from the tourist areas and noise. It is ideal for those looking for quiet and privacy while still having easy access to downtown and sightseeing areas. Tucked down a side street away from the traffic and noise, Blue Tengu is a charming example of the manner in which citizens of this city have lived for generations. 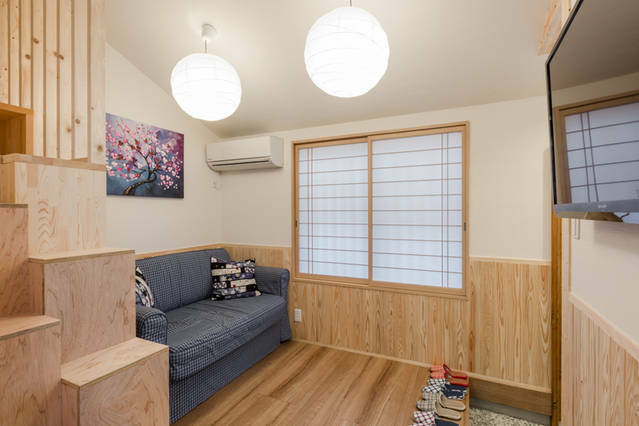 By choosing to stay in our lovely townhome, you will truly be able to experience Kyoto as a local. 50% deposit required upon booking. Full directions will be provided (with maps and images) via email 2 weeks before arrival. Kujo subway station is just 5min walk from the house. Use it to get to Kyoto station and the commercial center of Kyoto. There are bus stops around the station area if you prefer the bus. Kyoto city is mostly flat and very compact so walking and cycling are also good options.